As we face increasingly volatile times globally, law enforcement and security personnel have no choice but to adapt and advance their skills. Current cutting-edge strategies and a tactical mindset are needed to counter the large range of unconventional threats they encounter. 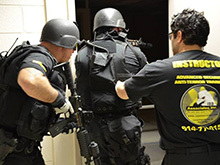 Courses offered by Zohar Tactical cover a wide range of vital skills for law enforcement and security workers. 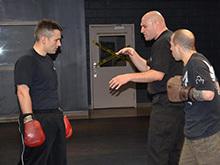 Trainees maintain and advance their skills in firearms, hand-to-hand combat, hostage recovery and a host of other skills vital for military, police and private security personnel. We customize each course to your particular region and to the unique situations you face. 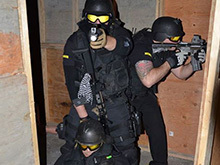 Zohar Tactical instructors have spent their entire careers training soldiers to succeed in the Gaza Strip and West Bank, and they have successfully served their country in every corner of the globe providing threat assessment, and counter-terror security and support.